What Do Hedge Funds Think about Mick McGuire’s Sohn Canada Long Picks? At the recent Sohn Canada Conference 2015, Richard McGuire of activist hedge fund Marcato Capital Management identified Sothebys (NYSE:BID) and Virtus Investment Partners Inc (NASDAQ:VRTS) as among his long picks. In this discussion, we will see that data from the Insider Monkey’s hedge fund database shows McGuire’s fellow investors think these two stocks have the potential to gain ground. Following activist funds like Marcato Capital Management is important because it is a very specific and focused strategy in which the investor doesn’t have to wait for catalysts to realize gains in the holding. A fund like Marcato Capital can simply create its own catalysts by pushing for them through negotiations with the company’s management and directors. In recent years, the average returns of activist hedge funds have been much higher than the returns of an average hedge fund. Furthermore, we believe do-it-yourself investors have an advantage over activist hedge fund investors because they don’t have to pay 2% of their assets and 20% of their gains every year to compensate hedge fund managers. We have found through extensive research that the top small-cap picks of hedge funds are also capable of generating high returns and built a system around this premise. In the 32 months since our small-cap strategy was launched it has returned 118% and beaten the S&P500 ETF (SPY) by more than 60 percentage points (read more details). Soon, we’ll be releasing a new quarterly newsletter written by former activist hedge fund analyst Michael Bland that tracks 10 or so activist campaigns at any given time. San Francisco-based Marcato Capital Management, established in October 2010, is a value-focused investment institution with a fundamental-based approach to finding investment candidates in small- to mid-sized public firms. As of June 30, the company had a portfolio value of about $2.39 billion. Marcato Capital was founded by McGuire, who has an MBA from Harvard University and who had previously worked at Bill Ackman’s Pershing Square. At the event, McGuire said that Sothebys (NYSE:BID) is one of his long picks, because he sees a potential upside of 60% from the stock’s current price. Sotheby’s is not capital intensive, he noted, with a consistent return from a fair amount of inherent leverage. The firm, split into the agency side, which performs auctions and sales, and the financial services side, which provides capital to buyers, has the potential to grow its financing side by adding additional net interest income, he added. Sotheby’s is only undervalued because it has $450 million in excess cash on its books and $250 million in inventory, to which the firm’s doubters appoint no value, McGuire reasoned. Catalysts for the stock include the impending closure of its refinancing for its New York location in the third quarter, a $250 million stock buyback plan, about $1.1 billion (or approximately 40% of its market capitalization) in redundant assets which can be sold and a new chief executive which invested $2 million in the company and whose compensation package is oriented for the stock’s long-term growth. Without redundant assets, the stock is at just over four times EBITDA, according to McGuire. In the second quarter, hedge funds were bullish on Sothebys (NYSE:BID), owning 41.50% of all the firm’s shares. The total value of hedge funds stakes in the firm by June 30 amounted to $1.3 billion, an increase of over 19%, fueled by the stock’s 7.05% appreciation. There were 27 hedge funds long Sotheby’s by the end of the second quarter, up by one from the previous quarter. 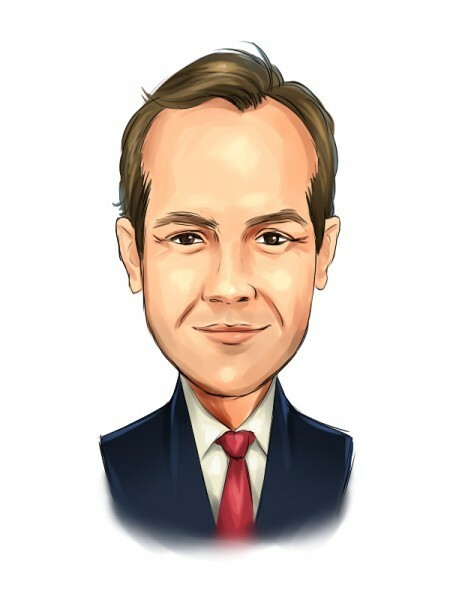 The stock is Marcato Capital’s fourth largest holding, containing 6.57 million shares, up by 30% and the second-largest position of another activist, Dan Loeb of Third Point, which ended June with 6.65 million shares.